Please see the second photo to choose the design you would like which is available. 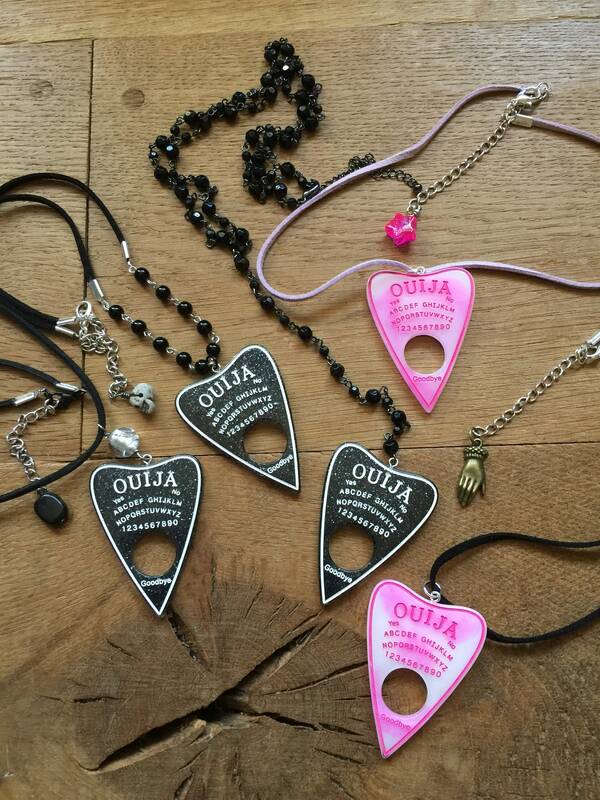 Ouija planchette with rosary beads necklace on vegan leather cord or charms with vegan leather cord. 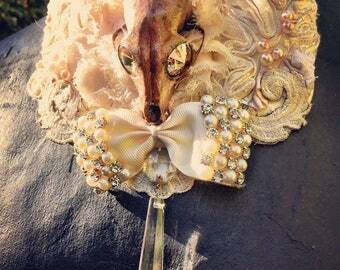 The necklace is approximately 18 inches long with an extra length of extension chain with a charm on the end. Some have beads some have palmistry hands. Please message me with your choice of necklace from the second photo. If you would like a special colour or design please contact me.